Offering you a complete choice of products which include axial fan and tube axial fans. 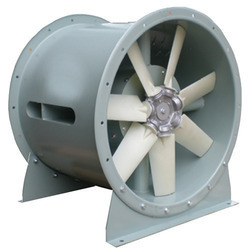 We are engaged in manufacturing and supplying Heavy Duty Axial Fan. 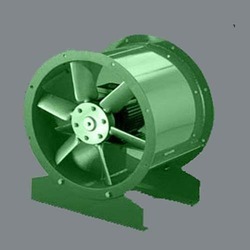 The offered fan finds wide usage in various industries including chemicals, food processing, medical and power plants. This fan is exceptional in terms of durability, fitted with aerofoil blades made with composite materials as well as diecast aluminium and made in tune with best standards and practices. It is resistant to corrosion and abrasion. We are a trusted name in the industry for manufacturing and exporting Tube Axial Fans. The offered fans have earned us a huge clientele in across the globe. They are unparalleled in terms of performance and easy to install. Being a client-centric organization, we offer these products at industry leading prices. These fans provide long-term service to the customers. Looking for Axial Fan ?